Pancakes don’t have to be made only with pale flours. This one uses spelt, which adds a distinctive and interesting flavour. Yet it remains simple and easy to put together. You’ll be amazed at the flavour the crushed cardamom imparts, making the tangy rhubarb filling deliciously fragrant. Sift the flour and a pinch of salt into a large bowl and make a well in the centre. Crack the egg into the well and whisk the mixture together, incorporating all the flour into the egg. Gradually add the milk, whisking until you have a smooth batter. Cover and set aside. Place the rhubarb in a small pan with the cardamom pods, sugar and 50ml cold water. Heat gently, stirring occasionally, to dissolve the sugar, then simmer for 4-5 minutes, until the rhubarb is tender. Remove from the heat, discard the cardamom pods and keep the rhubarb warm. Heat a little of the butter in a 20cm crêpe pan or small non-stick frying pan. Add a small ladleful of the batter and swirl around to coat the base of the pan. Cook over a medium heat for 1-2 minutes or until the mixture has just set underneath, then flip over and cook for a further minute. Repeat with the remaining mixture to make 6 pancakes, keeping the cooked pancakes warm on a covered plate. 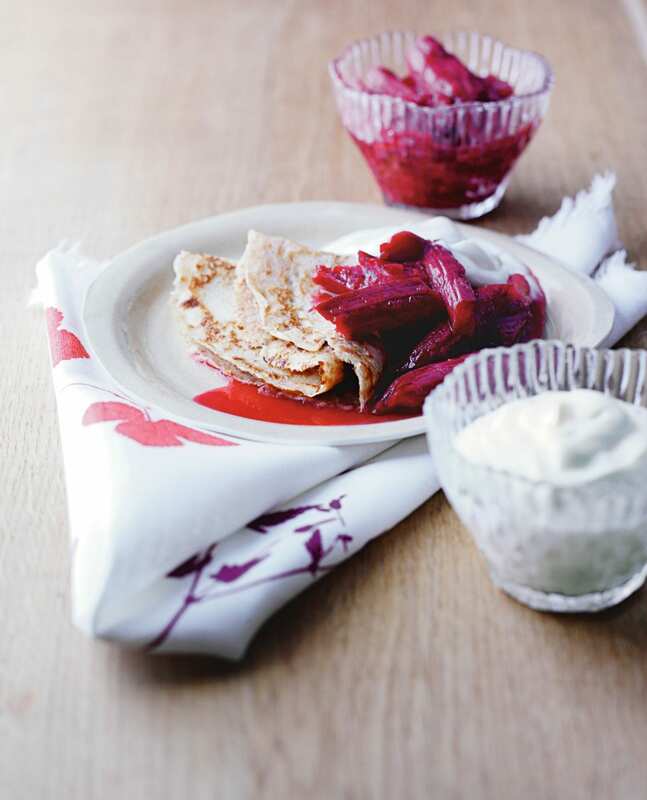 Fold the pancakes into quarters and spoon the rhubarb mixture over. 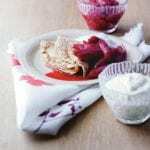 Serve with a dollop of fromage frais.